Step 1 Cut 2 (1 with Clear Double Sided Adhesive on back and 1 without adhesive) Garden Notes Berry Branch from brown cardstock. Adhere 1 on top of other. Add berries using Nuvo Crystal Drops Simply White. Set aside to dry then repeat on the back. Step 2 Cut 2 Garden Notes Hawthorne from green cardstock and shade. Using Nuvo Crystal Drops Autmun Red add berries set aide to dry then repeat for back side. Susan has a good video which can be found here. Step 3 Form 6″ X 6″ card base. Cut brown cardstock 5-3/4″ X 5-3/4″ using 6th die in Garden Notes Frame It / Stitched Squares cut opening in upper left. Cut patterned paper to fit opening (ModaScrap Woods used here) adhere to back of opening using Clear Double Sided Adhesive. Adhere to card front. Step 4 Cut 2 Garden Notes Galvanized Buckets from white Soft Finish Cardstock that has Clear Double Sided Adhesive on back – adhere together. Using alcohol markers color and shade. Add a little pewter Metallic Rub Ons from set 2. From brown cardstock cut just the center of the handle shade with brown Distress Ink adhere to top of handle. Add couple pop dots to lower center back of bucket then adhere bucket to card front. Adhere handle using Kids Choice Glue. Step 6 From black cardstock with Clear Double Sided Adhesive on the back cut 2 each A Way With Words Happy Birthday – Small and Friends using Words 4 – Remember die set. Adhere duplicates to each other. Cut s off from friends. Adhere to card front. Step 7 Assemble using Kids Choice Glue. Step 8 To add snow to card I used Designer Dries White Glue with fine tip adding to areas I want to have snow then I sprinkled with Papericious Frosting Powder. Hoping you have enjoyed this tutorial today and you will make your own card. This could also be used as a Christmas card by changing the sentiment such as A Way With Words small Merry Christmas. 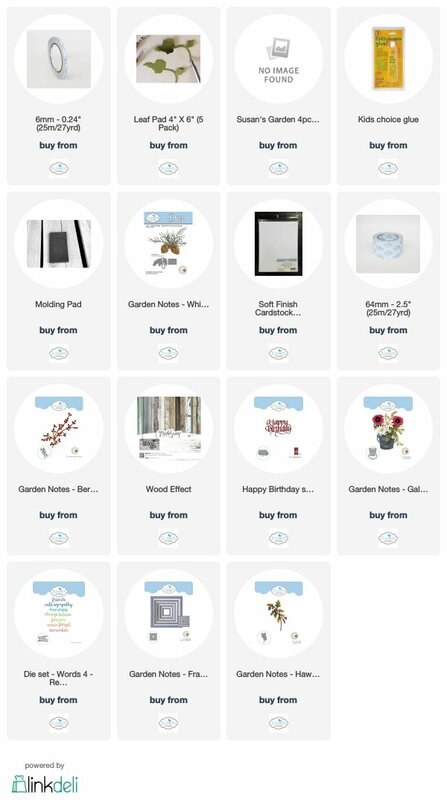 All Elizabeth Craft Designs supplies used are linked below just click on any it will take you directly to their site. Today’s post is a card that I did fr Elizabeth Craft Designs Blog for a complete tutorial be sure to visit Elizabeth Craft Designs Blog. All ECD products used for this project are listed below all you have to do is click on picture it will take you right to the item. Welcome to my blog my crafty friend. Today’s card is one I designed for the Elizabeth Craft Designs Blog using Susan’s Garden Notes Love In A Mist, Gathering Basket and Stitched Fitted Frames – Square along with a few others. Go to Elizabeth Craft Designs Blog to find tutorial on making this card. 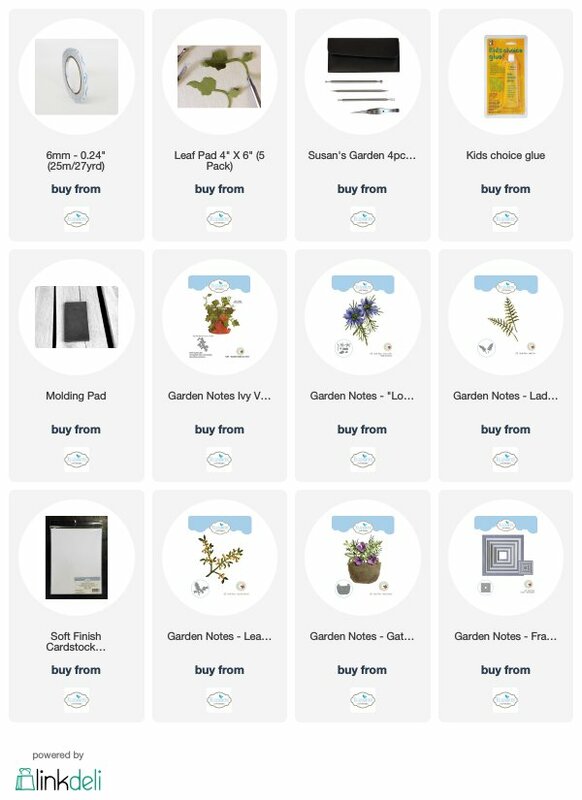 Below is a list of supplies used just click on any of the pictures of Elizabeth Craft Designs supplies and it will take you to their site so you can purchase. Thanks for stopping by and until next time – Happy Crafting!